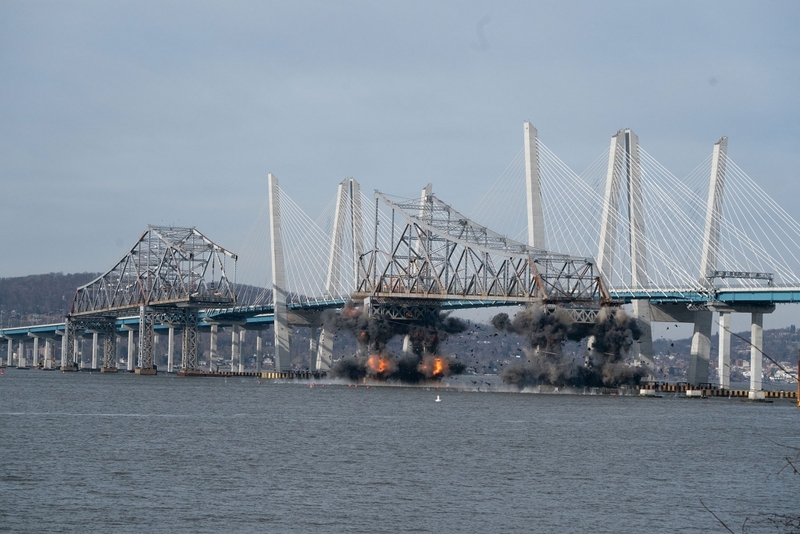 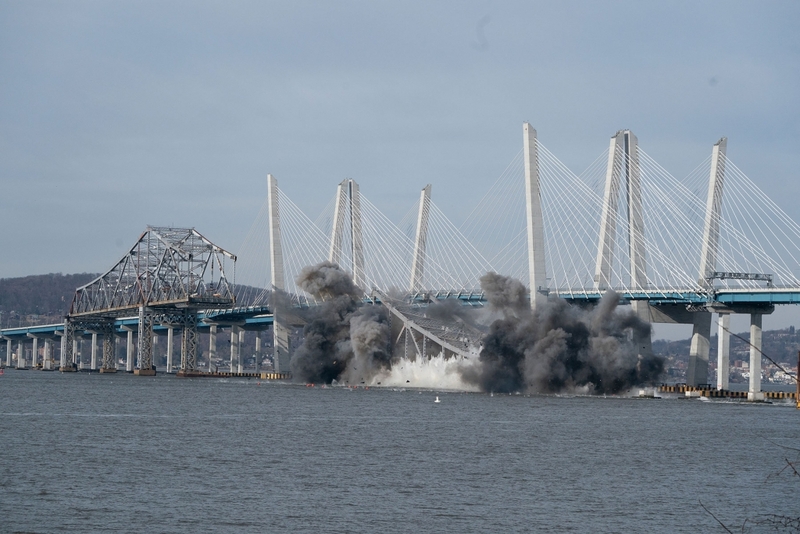 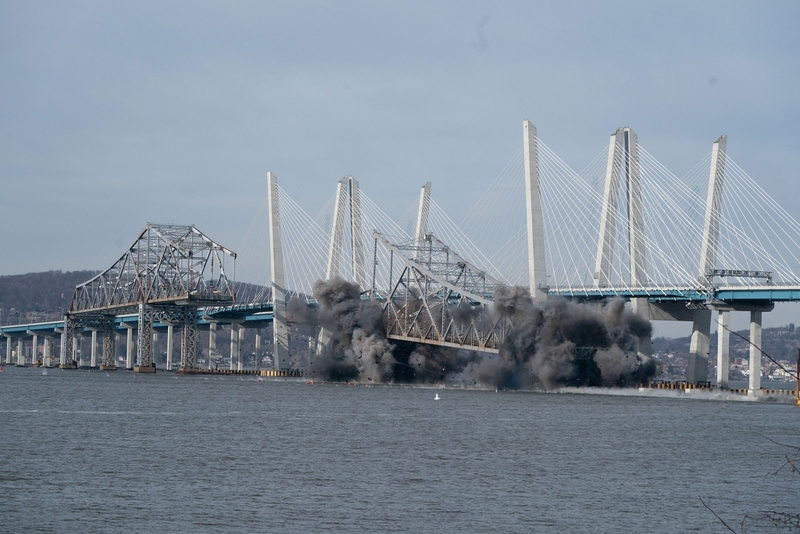 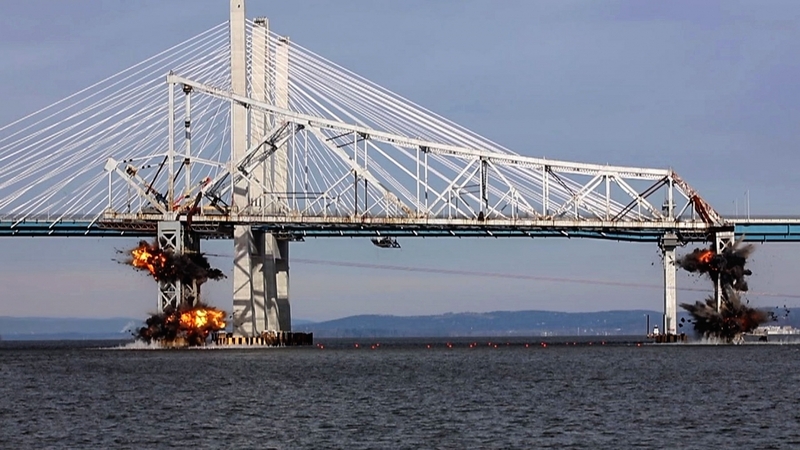 The latest project gallery update showcases the demolition of the old Tappan Zee Bridge’s east anchor span. 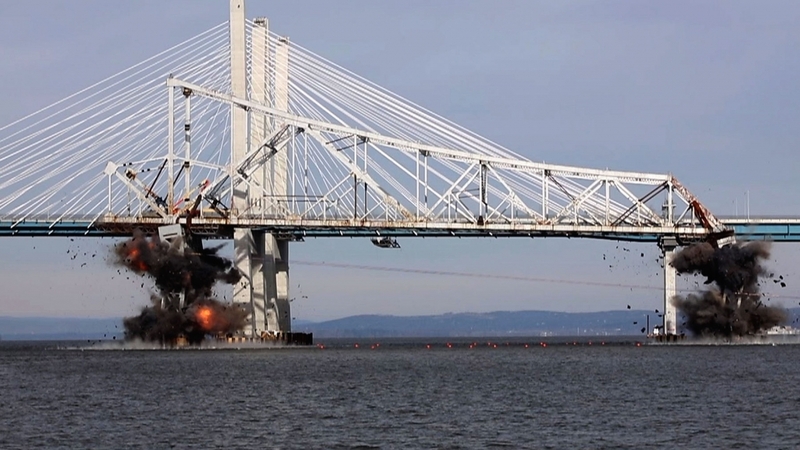 You can also watch the operation in this video. 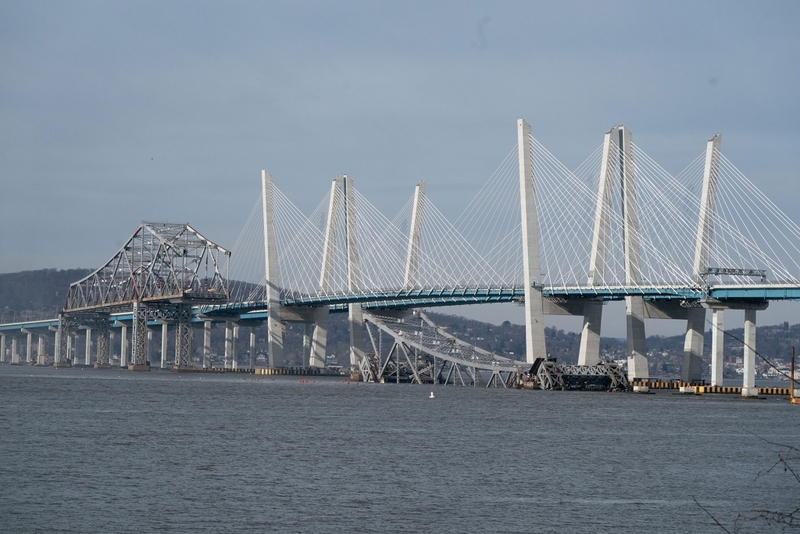 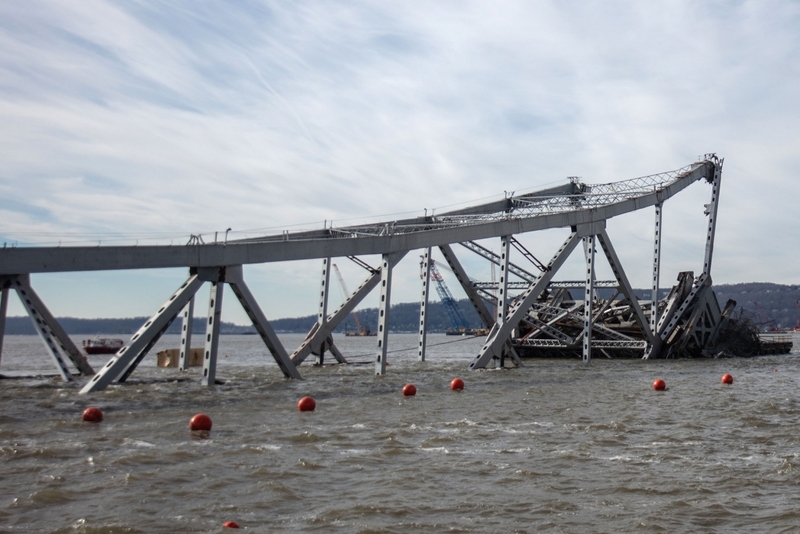 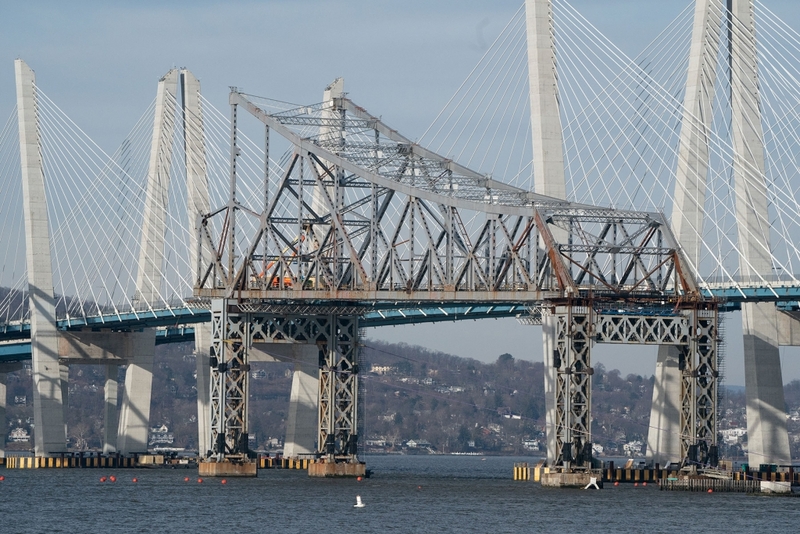 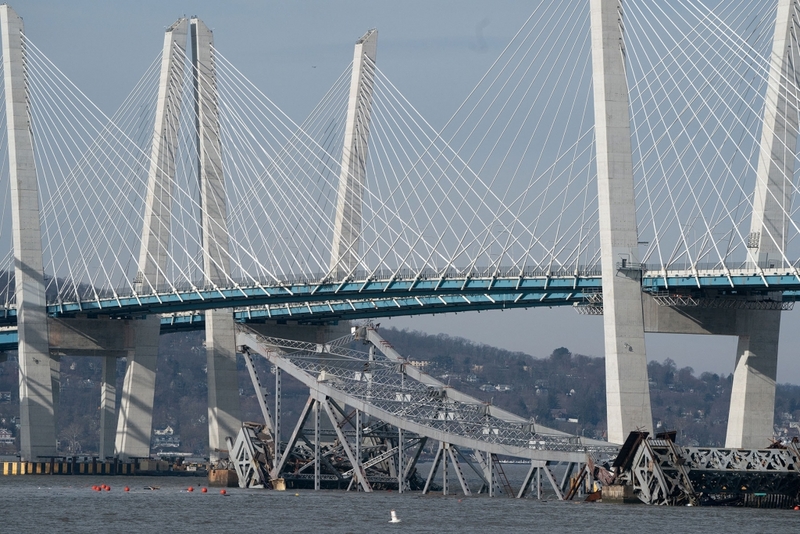 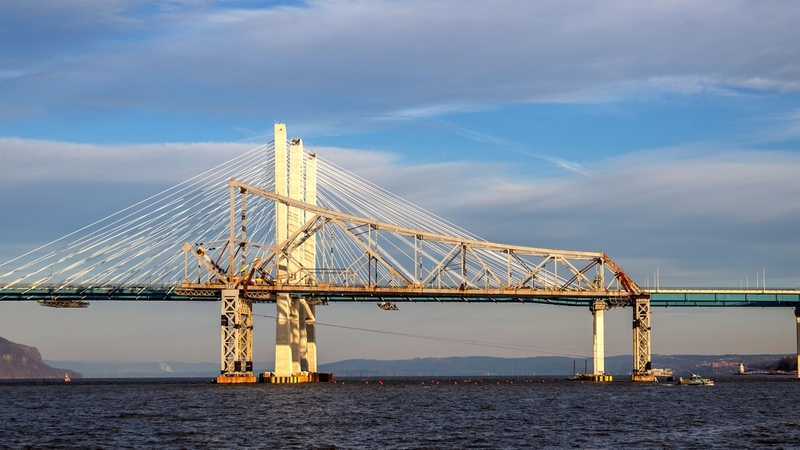 Tappan Zee Constructors lowered the 672-foot section of steel this week, using charges to deliberately fail vertical members supporting the span. 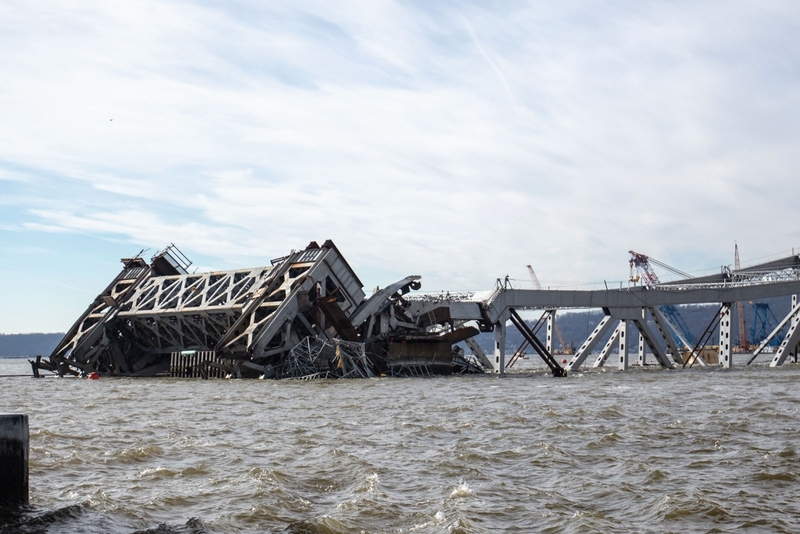 Portions of the old east anchor span, currently above the water line, will remain visible as it is removed from the Hudson River by marine salvage experts.